Location, location, location! 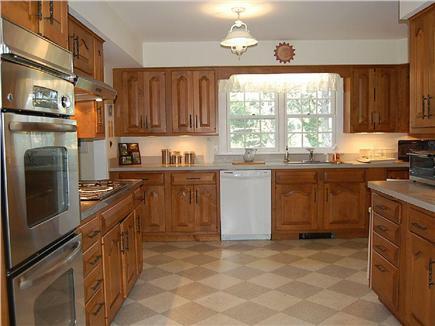 Sunlit, spacious, lovingly maintained authentic Cape home off unspoiled, quiet country road. Dine outdoors overlooking lush rhododendrons, active birdlife, dramatic conservation views, and stunning sunsets. 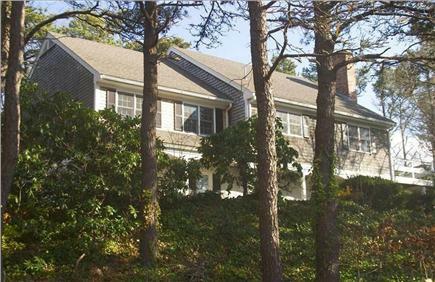 Close to Cape's finest ocean, bay, and pond beaches. Steps from charming East Orleans town center with unique shops, family and gourmet restaurants, farm market -- fresh produce, chef-prepared take-out meals, excellent seafood and steaks, Cape's best ice cream, and family and gourmet restaurants. Architect-designed renovations in sunny light filled rooms. Cheerful stylish easy to maintain furnishings and perfect layout. Come in from beach, walk along patio to enclosed hot and cold outdoor shower leading directly to rear entrance to house and full hall bathroom, laundry room, linen closet, bedrooms, kitchen, family room, and deck. 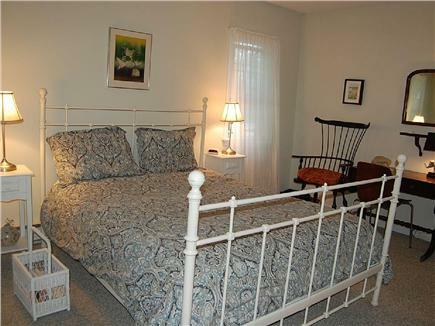 Or enter through front door to welcoming hall and first floor bedroom with full bath and shower. 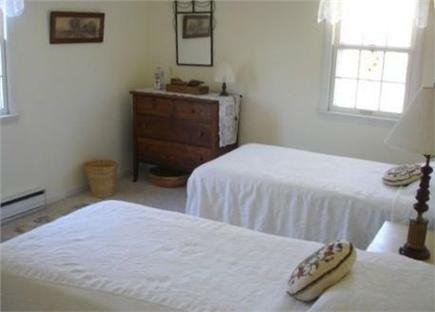 Master bedroom has two large closets-- one walk-in, and bathroom with his-and-her vanities. Walk, bike or short car hop to picture-postcard beaches, serene ponds, weekly live concerts, surfing, kayak and surfing rentals, scenic boat landing, Cape's best ice cream, children's theatre, highly rated baseball summer season, farm produce, chef-cooked takeout, fresh fish and meats, expresso bar, family and fine restaurants, scenic Rock Creek Harbor, sunsets, fishing boats, and country walks and trails. 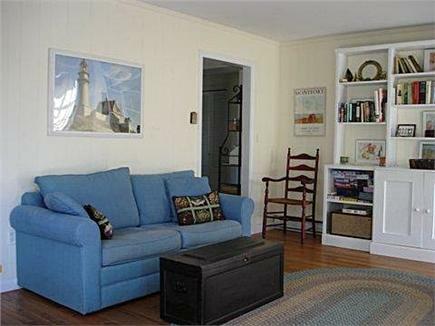 Or short drive to Provincetown/Hyannis/Chatham whale and seal trips, Audubon Nature Preserve, Nickerson State Park, excellent summer theater and popular concerts, historic outdoor movie, large flea market, Truro arts center, National Seashore, and much more. Hummingbirds love our private deck and so will you! 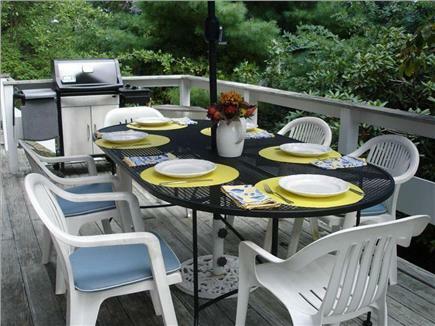 Weber gas and charcoal grills, handsome oval wrought iron table, Pottery Barn chair cushions. French doors open to comfy family-dining room and amazing large kitchen: 25 cu ft GE fridge, Whirlpool dishwasher, recently-installed GE stainless steel double ovens, Broan hood and Whirlpool cook top, butler's sink. Fully equipped for family or gourmet meals. Perfect for families with in-laws or grandparents or kids of different ages. Premium cable and high speed internet access. ctive and comfortable furnishings, master bedroom with two large closets-- one walk-in, and bathroom with his-and-her vanitier..
Air conditioning in three bedrooms, cross-ventilated living room and large ceiling fan, floor and window fans throughout, automatic attic fan cools entire house at night. 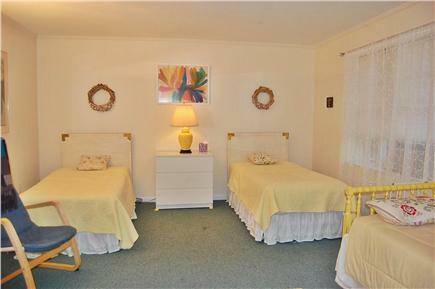 Freshly carpeted bedrooms and Custom wood floors throughout. Additional pricing info: Discount for multiple weeks,150 cleaning fee, no processing fees, State and local taxes of 12.45% will apply. second floor bedroom has large hall bath and hand shower with grab bars, sdouble railing on staircase First floor bedroom has bathroom and shower. We stayed here last year and loved it... Just got settled this year. Everything looks great! Everything was perfect. The house was very clean. We enjoyed the location. One of the best rentals we have ever had. Thank you for the use of your Cape home. It was a wonderful experience for my entire family. The house is extremely well stocked. And the highlight is the deck with a grill that allows us to eat every meal outside in what feels like a nature preserve. I am sure we may be interested in a rental for the next season. We arrived late afternoon at the Cape and easily found the beach house. It is beautiful. Our stay was one of the best ever. We had a wonderful week long stay during the month of July. 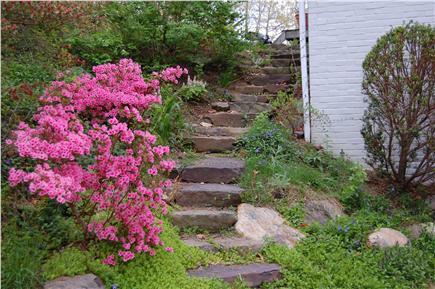 Phyllis was very responsive, from my first email to inquire about the property and throughout the entire rental process. The house was very clean and comfortable, and there were even a few fresh flowers in a vase on the table when we arrived. Dan, the property manager, stopped by about an hour after we arrived just to check in, and he gave us some great recommendations for seafood in the area. 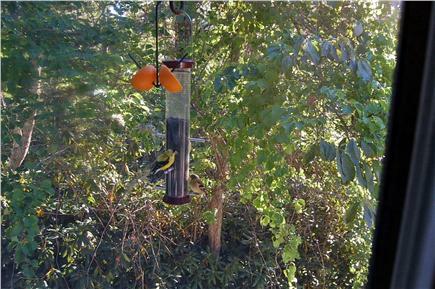 We really enjoyed BBQing on the deck and watching the birds at the feeder every morning! The house is lovely. Was have had no difficulty finding what we need. We had a wonderful stay in your house. We will check your availability when planning our vacation next year. The kids say they are never going to a Delaware beach again. The place has been good to us. It ranks as one of the cleanest of the 6 or so that we have rented in the past 7 years. 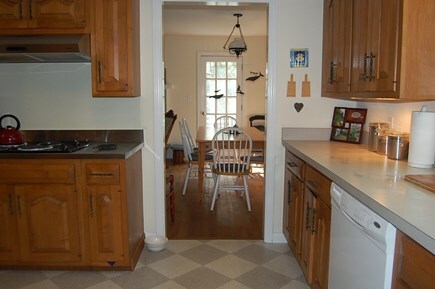 It is appropriately stocked with dishes, etc. Cheers! 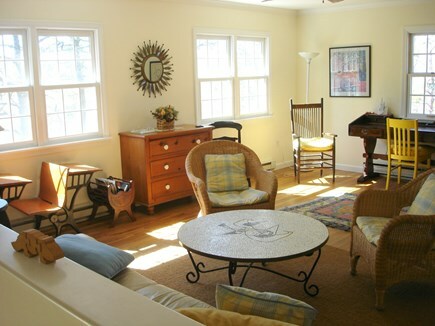 We live in Washington, D.C. and vacationed for years in Cape Cod before finding our perfect vacation home in Orleans, close to owner's family in Boston. Our daughter, an author and college lecturer, lives in nearby Concord and our son owns a family home in Truro. 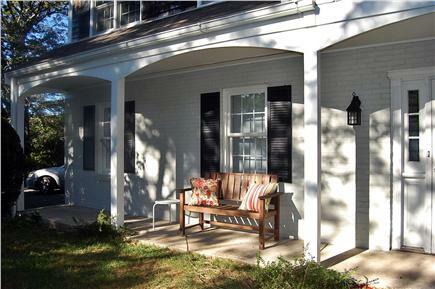 We bought our Orleans home in 1999 when our youngest granddaughter was born, and this home has been a warm welcoming center for many summer, spring, and fall family vacations and celebrations. The house has a unique combination of privacy and accessibility. 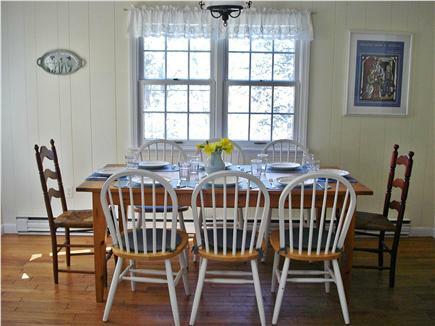 It is beautifully set on a quiet private road overlooking scenic protected conservation lands and at the same time is only a short walk, bike ride, or scenic drive to the Cape's special historic and natural assets and outdoor activities -- from fresh water shallow ponds, famed ocean beaches, swimming lessons, surfing, and deep sea fishing to adult and children's theatres, delicious casual and gourmet food, art galleries, antiquing, nature museums and classes, yoga, pilates, hiking, golf, a great national park, a famed flea market, and much more. The house is light and cross-ventilated, spacious, with air conditioned bedrooms and architect-designed renovations offering privacy and togetherness for kids, parents, and multiple generations. Amenities abound, including a hilltop location with a constant flow of birdlife, a large well stocked kitchen off a scenic rhododendren-surrounded deck with green dining and sunset views, and an attractive bluestone path leading to the outdoor shower and parking area. 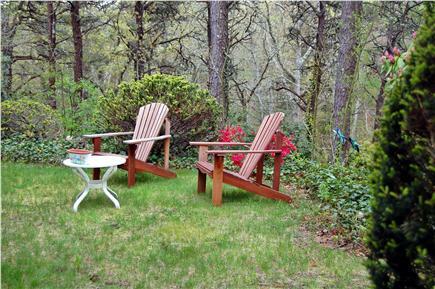 End your day with a relaxing drink on the deck, watch the hummingbirds or sunset, talk about the day's fun, and grill a fresh steak topped off with a walk to the Cape's best ice cream. 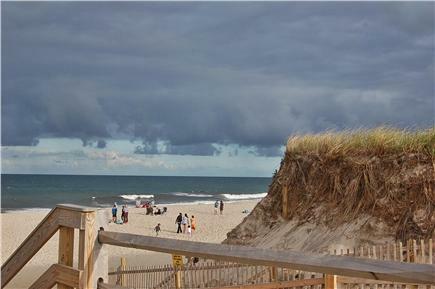 Orleans is a ''hidden secret'' retaining much of the unspoiled old Cape with plenty to enjoy in town yet close to the hubbub of Wellfleet and Provincetown, shopping and movies in Chatham, and whale watching and island trips from Hyannis. We enjoy these activities but love to return to our special Orleans home.